Today I have a card....with my fave color..WHITE on WHITE ..love making them.. I added some of my beading supplies ...the tiny white beads on the edge of the circle..love the look. Daring Cardmakers:"I'm Dreaming of a White Christmas"
Cuttlebug embossing folders, gold embossing folder, MS Fine Glitter, White Beads, pearls, Ribbon,Bling. Create a project that incorporates weaving somewhere. I weaved thin strips of designer paper...then shaped it Nestabilities for background. I tried the ribbon weaving technique for the first time..I like how it turned out. The image is" Baby Its Cold Outside" from Sassy Studio Designs. 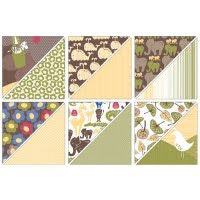 Prize: Stampin' Up Tall Tales 12" Designer Paper Pack . Papers: DCWV, Bazzill white cardstock. Copics,Nestabilities, Cuttlebug embossing folder, ribbon, pearl. 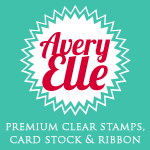 Welcome to InStyle Stamps Ornament Blog hop! If you are here from Lana's blog..you're right on track ...if you are just joining me now ,please go back here to start..
We are done with Turkey day..so its time to decorate our trees ,we need ornaments.. we all made our own with Fabulous ISS images. I used two images--Sandy and Suzette for two cute ornaments..
Cute,cute Sandy..... I used spellbinders dies and little handmade dangler in the bottom..made it with a white felt,wooden spool and ribbon..
Now the next one with Suzette..
You have until 11:59pm EST on Sunday, November 29th to enter, and the winners will be announced on the InStyle Stamps blog on Monday. Now its time for this week's The Character Cafe Feature Friday challenge..
Meet Izzy Elf...she is so adorable..love her. Penny's Challenges: No Patterned paper...so I made my own paper..
Paper Take Weekly: Christmas Crackers. 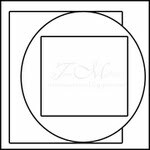 So play along with us ... create a project with this color combo and post a direct link here to win two digi sets from TCC and 15% off Discount Coupon as well as a winner's blog badge. Copics, White embossing powder,Cuttlebug folder,ribbon,Robin's Nest dew drops, Nestabilities,white gel pen. This week for Sassy Studio Sassy Thrusday Challenge we have a recipe challenge....recipe for today's dinner and recipe for a card, how wonderful!!!! 3 Patterned paper , 1 Decorative Edge and Brads with a Sassy Image. Lala Land Crafts: 3 patterned papers, 2 colors of cardstock (white counts as a color), and 1 type of embellishment.---- I used 3 PP , Black and Green cardstock , Brads as emb. You will have until next Wednesday 12/2, at midnight PST, tojoin in! Make sure to use a SASSY STUDIO image and link your creation HERE!! A winner will be announced on Friday 12/4!! The winner will receive their choice of 2 SSD images!! Copics, Nestabilities, Fiskars Border Punch, Brads, Glossy Accents, White gel Pen. Happy Black friday shopping !! Its for sure quick creation is not my cup of coffee( I know its TEA but don't like it ..so my fave coffee).. Crafty Creations challenges: Metal/Metallic finnishes....second entry. Saturday Spotlight with hidden potential: An ornament or any project with an ornament on it! Papers: My Mind's Eye, Acetate. 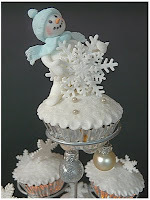 Image: Sassy Studio Designs--First Snow. Copics, Nestabilities, Ribbon, Glitter, Bling, Bells. Penny Bfriends Saturday challenge: WINTER WONDERLAND. Just Us Girls challenge: COLOR COMBO..
P-Punches: Border Punch and snowflake punch. Diedrich Dare Whimscial Wednesday: Easel card....I love making it. K L Stampin n Scrappin: Snowflakes. Copics, MS Snowflake punch , EK Success Border Punch, MS Border Punch, Cuttlebug Embossing folder, MS Fine glitter, Nestabilities, White gel pen ,Ribbon , Button, Bling, Pearls. Its super fun ...new ideas and great techniques ..
Simon Says Stamps challenge: Animal Antics. 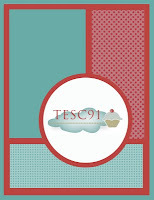 Cupcake Craft challenges: Gift card holder.. Image: Instyle Stamps~ "Kissmas Monkey"
Sentiment: Front--Hampton Art , Inside : Justrite stamps. Copics, Nestabilities, Ek Success circle punch , ribbon, Distress ink, MS Snowflake punch, button,bling. 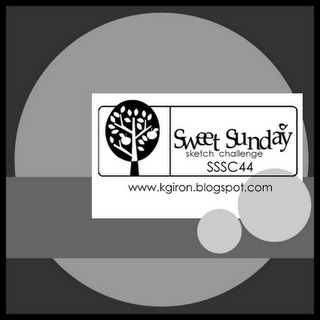 Happy Sunday!...so I'm back with another fabulous Stamptacular Sunday Challenge. using only natural colors you'd find in the fall. so if you wanna know how I made this ..check the tutorial here. 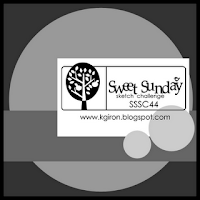 I love this image...fabulous..it will available at SSD store on Dec 1st..
Its also for this week's The Secret Crafter Saturday challenge~ make a Calender. Its not a card so its good for Whimsy Stamps Challenge.. I used an acrylic photo frame to make this reversible calender...it will be a great gift for anybody. 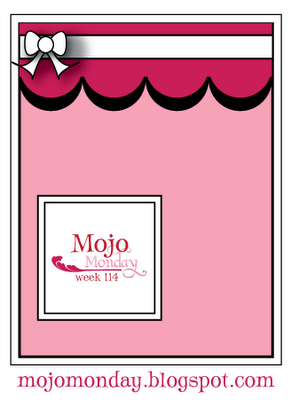 Secret Crafter Saturday challenge: Make a calender. WOW!!! 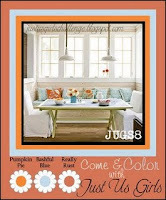 Just found out that my Fall card is one of the CARDS Blog's pick for today.....check it here. 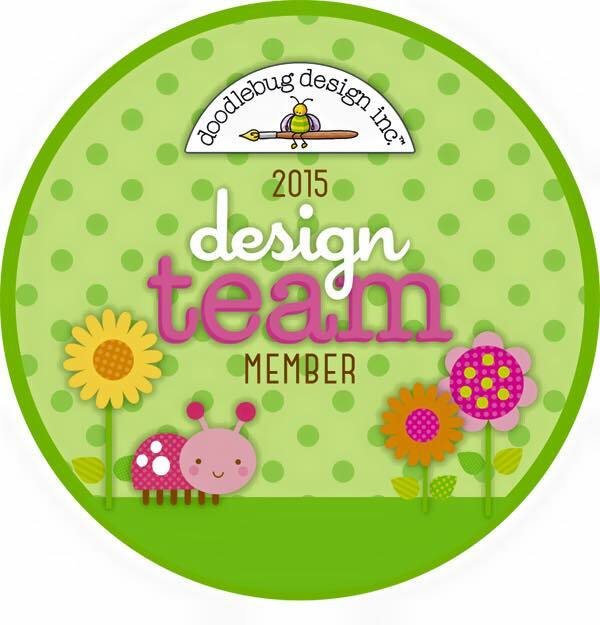 Recently I found this digi store...The Stamping Boutique...Tracey( owner /artist) creates the cutest digi images. This is one of my fave TSB image...the snow people singing ,how cute is that??? I used this week's CPS sketch for my card....and lots of fine glitter as always..
Creative Inspirations: Sparkle....my second entry. Caardvarks: Color It...I used Copic markers to color this digi image. Meet " REMY REINDEER" from The Character Cafe..super cute,isn't it??? Paper Play challenges :"Read all About it" ----use some form of booktext... I used the text DP from My Mind's eye.. Crafty Creations challenges: Metal/Metallic finnishes--- I used a Jingle bell. 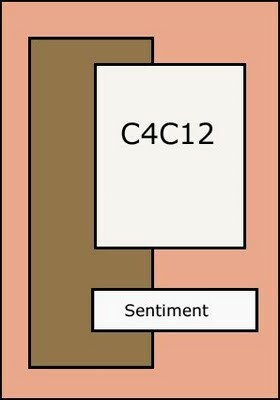 Image and Sentiment: The Character Cafe. 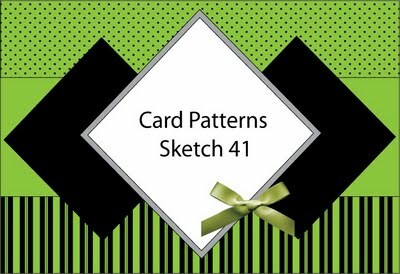 Labels: card patterns, Copics, crafty creations., holidays., paperplaychallenges, simonsaysstamps, thecharactercafe. Basic Grey Challenges: Glitz and bling.. Cute Card Thursday: Glitter me silly..
Secret Crafter Saturday challenge: Four Seasons...I picked Winter..
Paper: Basic Grey "Eskimo kisses"
Copics, Acetate,Nesties,MS Corner Punch,MS fine Glitter, Bling,ribbon. Welcome to Sassy Studio Designs ~~ Winter Wonderland Hop. Sorry something is wrong..Mr Blogger is giving me a hard time lately..I apologize for the delay.. This is " HOME FOR THE HOLIDAYS" ...I just love it..
Now lets play the game of " GUESS THE SASSY"...yeah you all have to visit all the SASSY DT blogs and collect name of their guesses and leave comments for their creations .You must leave a comment at EACH stop and when you are done email guesses to Jacquie at javablustamper@yahoo.com. You will have until midnight PST. ALL of those, who guessed correct, will be entered into a drawing. The winner of that drawing will win 3 images, of their choice, from the NEW release!! 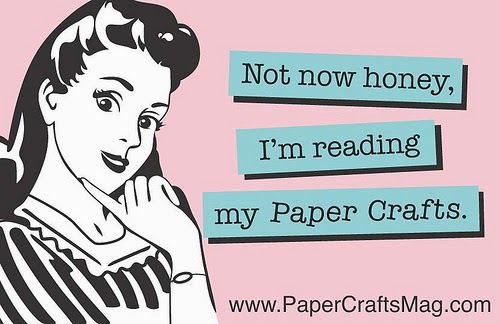 we will chit chatting going on over at Paper Craft Planet today from 1PM pst- 3PM EST so come on over and join us! There will also be a freebie for those who come join us there for some chatting! Thanksgiving is around corner so we have to create a card or some other sort of project that can be used at or sent at Thanksgiving time...if we put a TURKEY on it and we get TWICE the chance to win this week's prize! I love this stamp..super cute..its from High Hopes Rubber Stamps. and prize: $25.00 Gift Certificate and FREE shipping. So play along with us this week......have fun creating a turkey project. Time for another The Character Cafe feature Friday challenge..today our very talented DT Heather challenged us with 3D theme. We have to make a set of 3 items , atleast one should be 3D.. So I have a gift set for my daughter..
she is into card making now...and she loves PAX ..so I printed out several copies of Image Pax and packed them with some stickles, ribbons, tags, rhinestones in a cute basket for her. I have used lot of glitter and blings for sparkle...the camera didn't capture it well...hope you all can see a little of it.. Cute Card Thursday: Glitter me silly!! 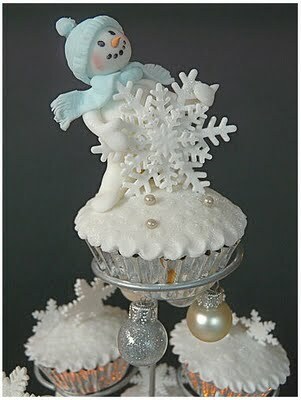 Cupcake Craft Challenges: Snow Much Fun. 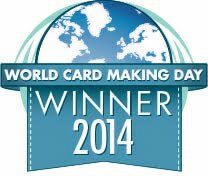 One Stop Craft challenge: Card for Kids. This weeks' winner will receive 2 image pack, a winner's button for your blog and a coupon for 15% off at The Character Cafe store! Paper: American Crafts, MY Mind's Eye. Image : Pax penguin from The Character Cafe. Copics, Nestabilities, Glitter,bling,MS snowflake punch,white gel pen and ribbon.